This beautiful carnelian bracelet was hand-crafted and then set with carnelian cabochon gems. 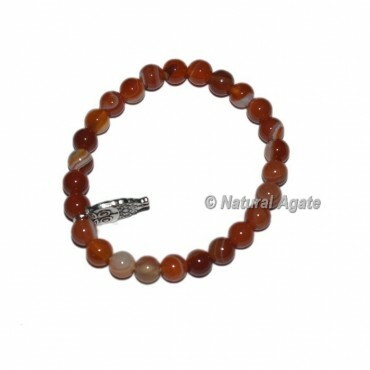 These carnelian gemstones have deep orange-red color under incandescent light as shown. One sterling silver Oval is also crafdted to the bracelet.